1.10 How To Apply For FSSAI Recruitment 2019? 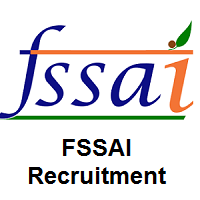 FSSAI Recruitment 2019: The higher authorities of Food Safety and Standards Authority of India (FSSAI) had released the latest notification of FSSAI Recruitment 2019 to fill 275 Assistant Director, Technical Officer, Central Food Safety Officer, Administrative Officer, Assistant, Junior Assistant Grade-I, Hindi Translator, Personal Assistant, and Various Posts. The complete information about the fssai.gov.in Vacancies 2019 given in the entire article. Candidates who are interested in the Food Safety and Standards Authority of India (FSSAI) Jobs 2019, they can apply from 26th March 2019 to 25th April 2019. In the below section applicants can get more info of FSSAI Recruitment 2019 such as educational qualifications, age limit, selection process, important dates, post-wise vacancies, salary details and others. Applicants who are interested to apply for this Food Safety and Standards Authority of India (FSSAI) Recruitment 2019, they have to check the entire details of educational qualifications. To know post wise education qualification details candidates can check the official notification which is available at the below of this page. Applicants can see post-wise vacancies for Food Safety and Standards Authority of India (FSSAI) Openings 2019 mentioned in the below table. The higher authorities of Food Safety and Standards Authority of India had decided to conduct the selection process to all the applied candidates for FSSAI Recruitment 2019. To know Age Limit Details candidates can check the official notification which is attached at the below of this page. 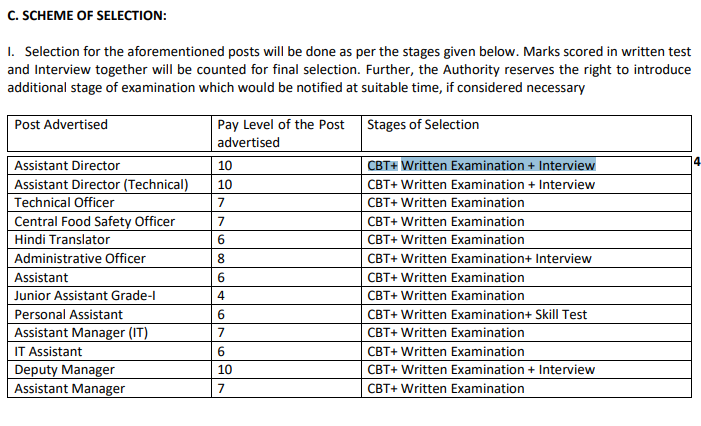 All selected candidates can get the pay scale for FSSAI Recruitment 2019 mentioned in the below section. First of all, candidates can see the official site of Food Safety and Standards Authority of India (FSSAI) that is fssai.gov.in. The home page will be opened on screen. In that more features are there, you can search the careers section which is the bottom of the home page. Again you can search for the FSSAI Recruitment 2019 notification link. You can see the two notifications, read carefully one by one. If you are eligible then fill the online application form. Recheck the details correctly or not. Take two or more copies of the FSSAI Recruitment 2019 application form for further reference. From this entire article, applicants can get genuine information on FSSAI Recruitment 2019. Bookmark our site that is Sarkari Naukri for more updates by hitting the Ctrl+D. If any of the applicants have doubts, they can comment us in the below section.